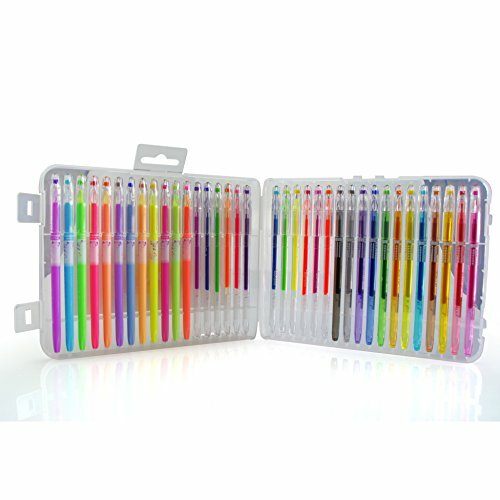 Multicolor Gel Pen Set Review: Once Out of the Pack, You Won’t Put them Back! 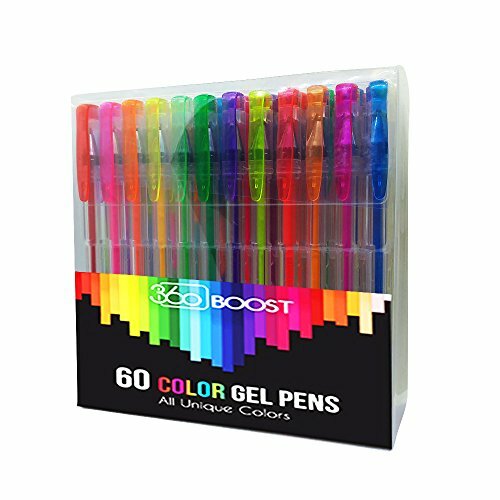 Are These Good Gel Pens for Adult Coloring Books? Do They Work Well? On those rare occasions when I don’t have a pen in hand, I’m always hoping to stumble across an instrument that can do what I need it to do, only better. Not too long ago, I hit upon an opportunity to evaluate a deluxe multicolor gel pen set on the house. Off and on over the years, I have bought from Michael’s a single pen here and there, usually in gold or silver to embellish a project in the making, but this gel pen set made by CulaLuva certainly takes the cake. I received this gorgeous gel ink pen set for discount/paid only shipping and handling in exchange for my truthful evaluation of them. There are 60 colors included in all, and the vast array of colors includes 3 “classic” colors, 12 glittery, 10 metallic colors, 6 neons, 12 glittery neons, 9 pastels, 6 “swirly” colors and last but not least, 2 black ones. 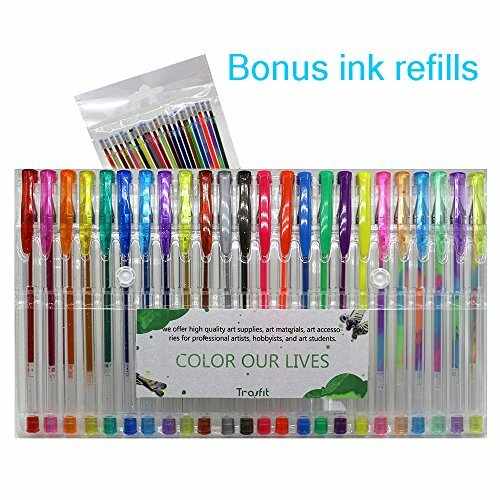 Inside the package they arrive in 5 rows with a dozen each, all of the pens transparent clear with the tip and base bearing their respective ink colors. 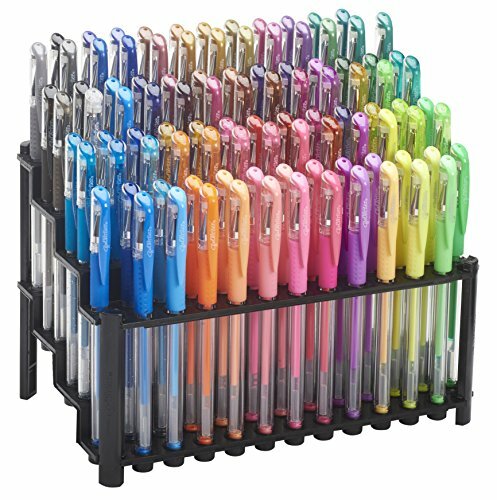 Each is ballpoint with 0.8 – 1.0 mm tips. The “swirly” colors are in the pastel shade family with mint, lilac, pink, peach, light blue and light yellow combos, but each tip/end is one of those respective colors…great for one of those “wild card” moods. What I discovered is that the ink (roller ball point application) flowed smoothly, the ink did match the tip color, good things to have in mind for filling in tiny areas (such as intricate mandalas) In terms of bleed on the other side-it’s more noticeable in the darker colors like purple, teal, burgundy red and forest green but not so much with the pastels or neons. 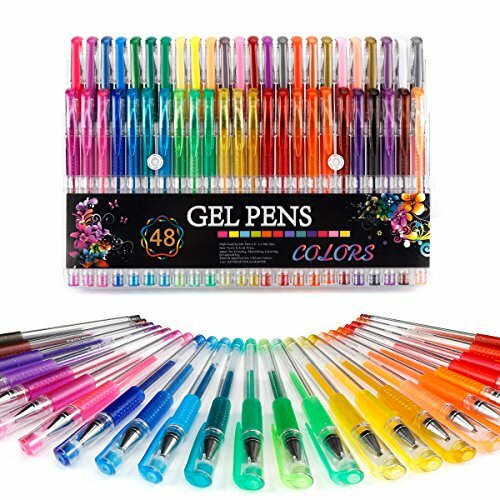 I don’t know about you, but I have wondered why they are called “gel pens”? 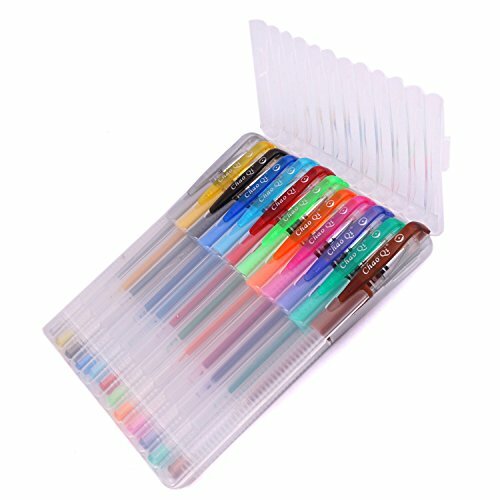 The pens part I get, because you can write with them. If you are into calligraphy this can be lots of fun. Markers are made with a felt tip, a whole different animal. The “gel” part may be derived from the “creamy” appearance of the ink colors. A ballpoint pen for everyday writing just produces -well, basic ink. If you’re looking at craft projects, you want to have a little fun and Just Write!